The classic Thanksgiving cocktail is a delightful gin martini that is perfect for the holiday. Whether you are waiting for the turkey to finish or sitting down and enjoying your Thanksgiving Day feast, it's a wonderful drink that's easy to mix up. The recipe adds apricot brandy and lemon juice to the martini base, giving it a subtle flavor of sweet fruits. It's a nice touch that will prepare your taste buds for the mouthwatering bird you've been cooking all day. Choosing quality ingredients will make a better Thanksgiving cocktail. That begins with the gin, so choose a top-shelf brand that you would pour into any other martini. London dry gins will work very nicely, as will any juniper-forward gin. Your dry vermouth should be fresh: less than three months old and refrigerated once opened. If it's been a while since you picked up a bottle, add it to your shopping list. For the apricot brandy, don't be afraid to pay a little more for a quality bottle. Many of the inexpensive options are too sweet for cocktails that are this simple. If you can find a true apricot brandy, that would be preferred. There are a few sweetened liqueur versions that are worthy as well; look for brands like Bols and Luxardo. Though it's just an accent, fresh lemon juice will also create a better cocktail. One lemon should yield about 1 3/4 ounce of juice, which is plenty for a few Thanksgiving cocktails. While you may not give much thought to the cherry garnish, you probably should (especially if you like to nibble on it). Those neon red maraschinos that are so popular and easy to find are anything but natural. A better bet is to seek out natural cherries without artificial colorings or dyes. How Strong Is a Thanksgiving Cocktail? The Thanksgiving cocktail is a pretty strong drink, but it's right in line with similar gin cocktails. Generally, you can expect this one to have an alcohol content in the 21 percent ABV (42 proof) range. It's definitely not a glass of wine, so be sure you don't drink too many before the family shows up! Very similar to this recipe, the English rose cocktail adds the sweetness of grenadine to the Thanksgiving cocktail. The paradise cocktail pairs the duo with orange juice for a refreshing kiss of citrus. 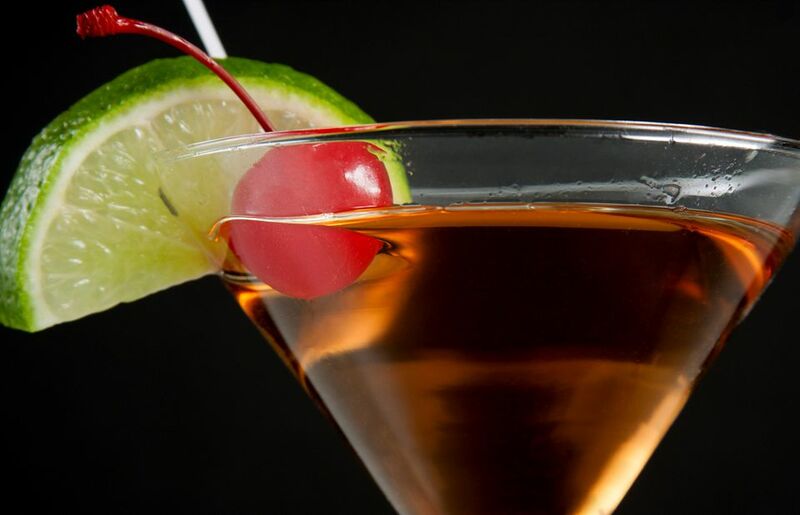 In the Boston cocktail, you'll add grenadine and lime juice to the mix.